Becoming a parent is a transformative experience. And an ideal parental leave policy would offer an advocate for support before, during and after your time off. What if your organization went so far as to provide that advocate—someone who was prepared to communicate your point of view in your absence and keep you informed of the most important developments at the office? What if you could return to work feeling engaged and empowered? Karina Mangu-Ward and her partner Tracy Candido are just returning to work from parental leave, and they both happen to work for organizations that focus on the future of work. In fact, Karina chose to join the team at August Public because of their 16-week parental leave policy. August is built on the principle that everyone has the ability to edit the system, and that gave Karina the opportunity to design her own parental leave. She established the idea of an advocate who would keep her goals top of mind and ensure that Karina was well-positioned in the organization when she returned. Today Karina explains the work of August Public, discussing how its framework of radical self-management allowed her to design her own parental leave. She speaks to the importance of parental leave (as opposed to ‘maternity leave’) and how men get shortchanged in a system that doesn’t allow them to participate. I ask Tracy and Karina for their insight on a Harvard Business Review article suggesting ‘disability leave’ for the person giving birth and an additional 12-week paid leave for all parents. 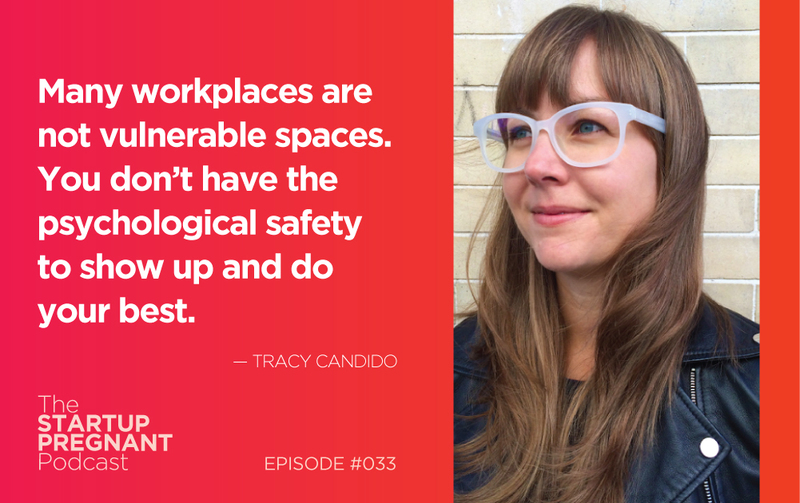 Tracy addresses the need for psychological safety and open dialogue in the workplace as new parents navigate an identity shift. 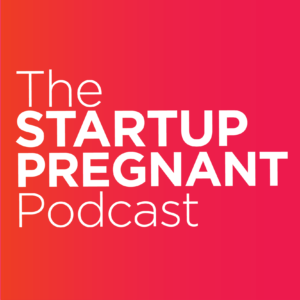 Listen in for Karina’s take on why startups can’t afford NOT to offer family leave. Karina Mangu-Ward is a consultant and facilitator with a passion for coaching teams through organizational transformation. In her current role with August Public, Karina works with Fortune 100 corporations to nurture more creative, self-managing and productive teams. Prior to her work with August, Karina was a documentary filmmaker and Lead Process Facilitator with EmcArts. Tracy Candido is the Director of Programs and Events at Lower Manhattan HQ, a new collaboration space in the heart of downtown NYC. She curates public programs for the creative business community, promoting LMHQ as a thought leader in the conversation about the future of work. Tracy is also the founder of Lady Boss, a platform for professional growth for women in creative industries.